Kay and I met at our friend Pam’s son’s first birthday party on a June day in 2005. I remember there was four of us girls that got to know each other that day and have, in one way or another, been a HUGE part of each others lives. Kay says she will always remember what I was wearing when she met me. It was a little red and white plaid jumper…Kay, Pam and I became fast friends. Kay and I had a connection that I will never be able to explain. We were able to talk over one another, yet still complete the conversation like pros. We could finish each other sentences, it was amazing. It’s rare in this life that your able to find a girlfriend that can complete you in so many ways as Kay has for me over the years. In 2006, Kay and I took our first road trip together, we packed our bags and headed to Portland, Or where we were going to see BON JOVI! We were like two 16 year-old girls that day. We played his newest album so we’d know the lyrics to all the songs. I remember laughing so hard on that trip. It was one of the best memories of my entire life. This was a friend I would have for life…I mean this woman taught me how to make DRINKABLE coffee without flavored creamer! YOU CAN DO THAT? “With enough milk and sugar, you can do anything.” she said. This road trip was only the beginning of something special between the two of us. Later that year, Kay, Pam, and I all went to a Christian conference together called Women of Faith with our church. I remember that conference taking my faith in God to new heights. I believe the three of us shared a hotel room that year….but I could be wrong, I can’t remember. We sat together, we walked together, we encouraged one another. I had just gotten married, to Craig, the year before and it was an extremely tumultuous marriage. Kay and Pam were always encouraging me to be better….to do better. 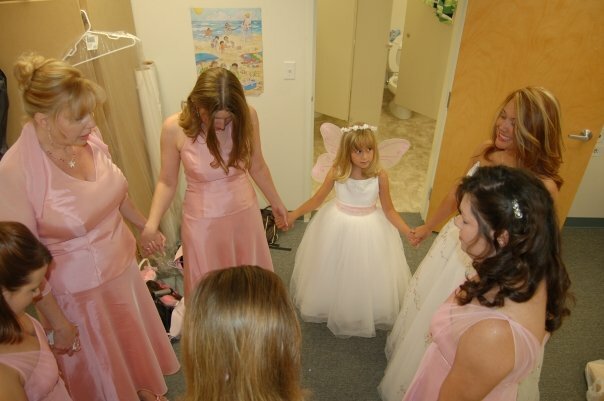 These woman had been at this whole “God thing” quite a bit longer than I had. They never once made me feel like a burden when I would call them crying, but would bounce me between them so neither one of them got burnt out. I totally can’t blame them; I was a complete basket case almost the entire 2 year that I was married to my first husband. In the summer of 2007, my entire world came crashing down around me….I recieved the news, on a Monday, August 27, 2007, at work, that my husband had committed suicide. I remember my world completely stopping. (I will write more on this one day, but not today). I called another friend at the time to come get me from work, and I went to stay with her. Pam took my kids that night and I think they spent the night with her. I remember calling Kay and begging her to please come get me as I needed her, as I wasn’t in the right home at that point. Kay and her husband came and gathered me up. The moment I walked into their house a sense of peace came over me, as this would be my home for the next week. Kay made sure I ate, I remember her feeding me crackers…they were these sweetish kind of crackers that I could nibble on as I wasn’t eating much (go figure). I think she made me eat a weird salad the next night because I needed “My veggies.” Kay drove me around to every appointment I had that week. I barely remember a thing from that week as it all happened so fast. I remember she drove me to the funeral home and I just couldn’t make any decisions, and she kept telling me “No decision have to be made today.” I think we left and went back another day. Kay helped me with all the phone calls, hosted a brunch for me and Craig’s family, found me a lawyer, and walked me through the entire grieving process. I don’t know what I would’ve done without her. I believe, if my memory serves me correctly, the funeral was the following Monday, Labor day, 2007. I believe Kay and Web sat behind me at the funeral, but I really don’t remember. I stayed one more night at their house the day of the funeral, and was gently encouraged to return home the next day. A week had gone by; in fact I’m pretty sure I would’ve stayed longer, but my children needed me and Kay and Web assured me that I was going to be ok. They told me they were only a phone call away if I needed them. I returned home from Kay’s to a completely SPOTLESS home, Pam came in and completely wiped it clean with the power of her soul. My floors were mopped, my carpets vacuumed, everything dusted, bathroom cleaned, and mine and the kids’ rooms were cleaned. Pam is a “behind the scenes” person. She is like a little angel, she always popped in when I least expected it, but somehow always knew when I needed it most. (She has a huge role in my life and will get her own story one of these days). These are the only two women I have remained friends with after all these year. The only two women who never turned their backs on me when things got rough over the years. 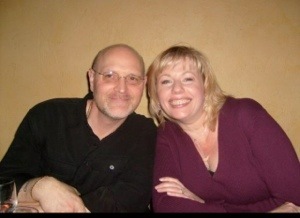 In the summer of 2008, I remarried to my current husband Gary. 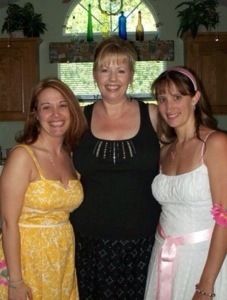 Kay and Pam were my Matrons of Honor, and my sister was my maid of honor. See, I couldn’t choose just one. My sister was a given, but Kay and Pam were my backbone, my sisters in Christ, Kay being the older sister, Pam being the middle sister, and I the youngest. Web, Kay’s husband gave me away; he will always be the brother I never had. Kay gave the most beautiful speech as she cried, and we all struggled to hear what she was saying. Because that’s Kay, ALWAYS crying in sadness and joy. I don’t think there is a moment that I can think of when we haven’t been together and Kay hasn’t cried from SOMETHING. Generally it’s laughter and joy, but oftentimes it’s just her heart. She has one of the purist hearts I have ever witnessed. She CONSTANTLY was trying to keep me on the straight and narrow path as I constantly tested her patience with my zigging and zagging. Oh the stories she could tell you! 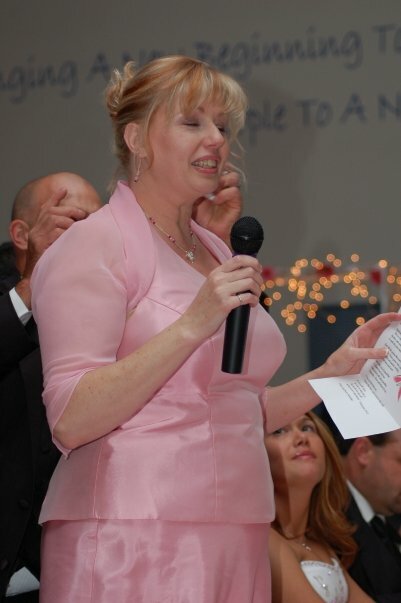 In January of 2010, we got the news that Kay had stage three colon cancer, I remember being so scared. I returned only a fraction of what she did for me by taking her to several chemo appointments, and visiting her as often as I could. She is one of the strongest fighters I have ever witnessed a day in my life. Kay praised God every step of the way, sometimes wondering why her, but I also remember her saying “Why not me?” Kay never thought she was above anything or any situation; Kay just constantly said, “I don’t know why this is happening, but God will see me through it!” and He did…..after a surgery and 8 months of chemo, she was cancer free. She BEAT COLON CANCER!!! We were all so incredibly relieved. I think I’m still in denial. 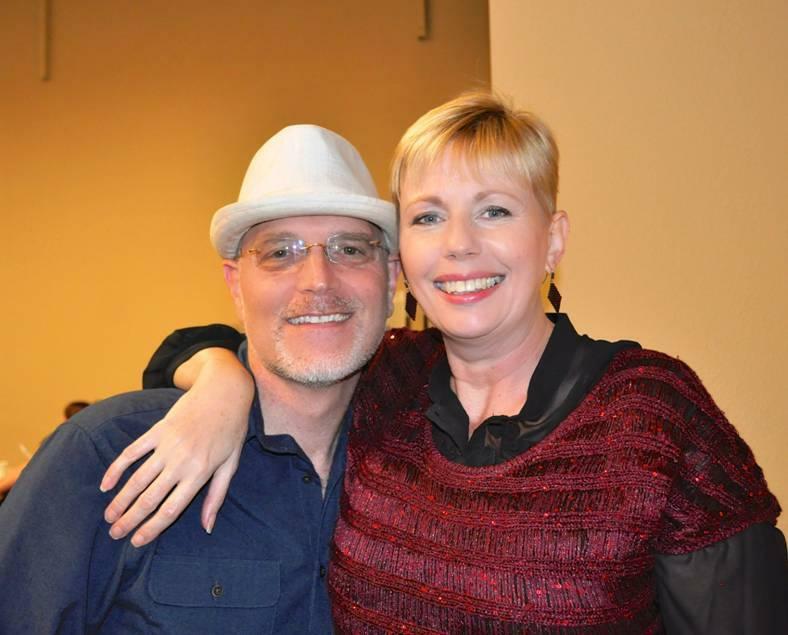 It can’t be true, one of my best friends, longest friends, one of my timeless friends….was diagnosed with brain cancer on the eve of her 50th birthday…December 6, 2013. Kay has been given only 6-9 short months to live. Kay has decided to forgo radiation and try to beat this with a very special, extremely restricted, diet called the Gerson diet. It’s been proven over and over that cancer can, and does, get beaten with an organic, special blend diet that is VERY EXPENSIVE. When I talked to her last she had been on the diet for 4 days and felt FANTASTIC! I believe that through the power of prayer, family, and a good wholesome diet with the certain organic foods, SHE CAN BEAT THIS!!! And YES, I am going to ask for YOUR HELP! See, we are all on this earth to help one another. If we all gave just $10 (that’s TWO STARBUCKS COFFEES) that would be enough to continue to feed her this very expensive, special diet and hopefully will save her life. See, all things happen for a reason, If I hadn’t met Craig chances are I wouldn’t have 2 of my best friends now, Pam and Kay. I can’t imagine these two women NOT being in my life forever. 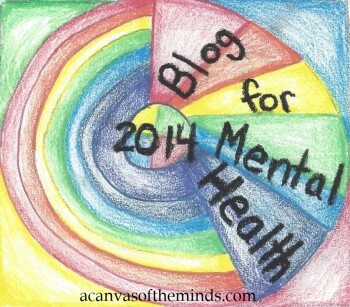 PLEASE help me, help my inspiration. Kay is one of the reasons I continue to walk with God even when I am so angry and would like to turn my back on Him. I humbly ask that you take a moment to pray, or if your spiritual, then to just ask whatever high power you believe in, to touch your heart and donate to one of the most worthy people I have ever met….The link is posted right here…. 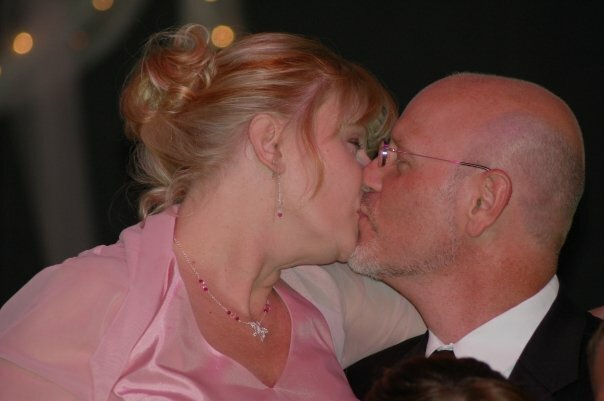 Kay and her husband at Gary and I’s wedding 2008….never seen two people more in love! Just wanted to tell you that your story not only touched my heart it brought tears to my eyes. You all are wonderful people and this is more then just giving 10.00 to help its about actually caring for others and its the best gift ever! I just love you Pam! I just want the whole world to know how special she is….and you to. You’ve become my ally. My warrior beside me in this great battle we call life! Beautiful way to show your love for this lovely woman, brought tears to my eyes and I prayed for her and will continue.